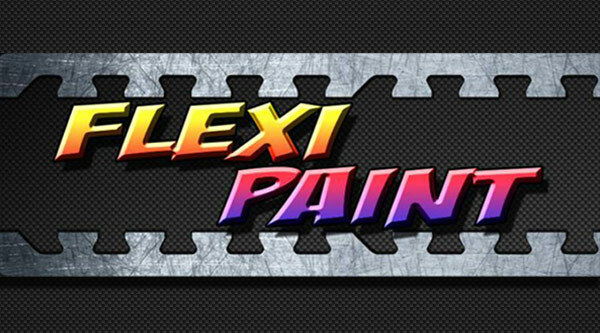 Manhattan Wardrobe Supply is excited to offer Flexi Paint, a new product that’s incredible to have in your toolbox for customizing color on a wide range of materials. Flexi Paint was created for costume and prop makers to use on foams, latex and fabric. It’s easily applied without the need for latex or primer, and dries to a flexible, durable rubber finish. The great thing about Flexi Paint is that the water-based formula can be thinned with water, and small amounts of acrylic paint can be used to customize color. This opens all sorts of shading options, allowing you to truly create to your specifications. You can seriously geek out down to the last detail, creating the kind of shading that makes props and costumes pop to a realistic and life-like effect. It can be applied with a sponge, brush or spread on with an air brush/ cup gun, making it extremely versatile in its application. Making props and costumes comes with a lot of dedication and many of us will go to great lengths to make our creations reflect our vision. With Flexi Paint, you get all of the creative control that you want, but take a break from the toxic fumes. Flexi Paint is non-toxic and latex free. Truly a breath of fresh air. Once you get your creation just right, you want to have confidence that it will hold up. Flexi Paint is extremely durable. It’s highly flexible, has strong bonding and doesn’t crack, which means that you don’t have to just stand like a statue. You can sit and move without leaving chips of your costume behind like a trail of breadcrumbs. It bonds to a wide array of materials, making it flexible in every way. Flexi Paint is available in a wide selection of colors and is sold only at MWS in the U.S. Give it a try and let us know how you like it! Tagged Cosplay, Costumes, design, Flexi-Paint, Props, Tools. Bookmark the permalink.